"It came pretty fast, somewhere in my chest it hit me," Brodt said. "I was lucky enough to be standing there and it was awesome." 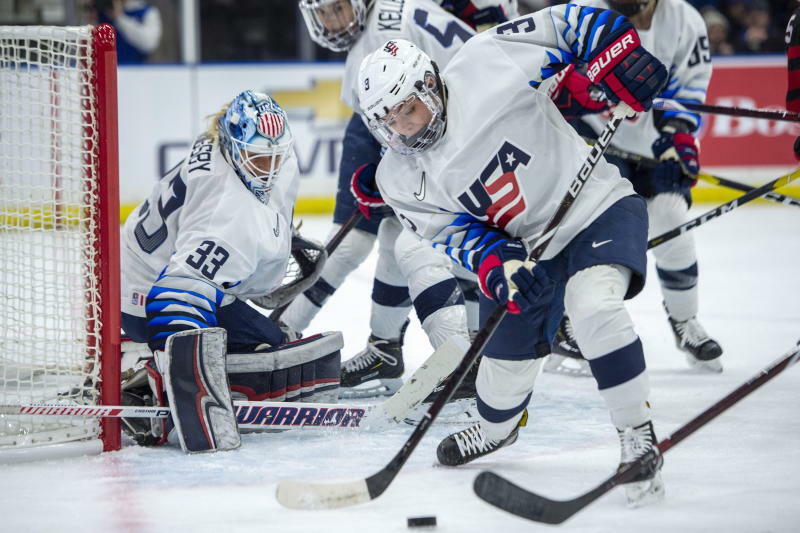 Both teams were coming off opening blowout victories Tuesday night, the U.S. 5-1 over Finland, and Canada 6-1 over Sweden. The U.S. is seeking its fourth straight title in the event. "We played our game tonight and came out with a hard-earned victory," U.S. coach Bob Corkum said. "Our philosophy is to have a shooter's mentality and get many shots on net, and get to the net. That seems to be the way goals go in these days at any level. The goalies are just so good." Hannah Brandt scored for the U.S. 1:18 into the game, and Loren Gabel tied it at 3:30 of the third period. "I've seen enough U.S.-Canada games," said Canadian coach Perry Pearn, a longtime NHL assistant coach. "You know every time you play them, it's going to be a fine, fine line between winning and losing." 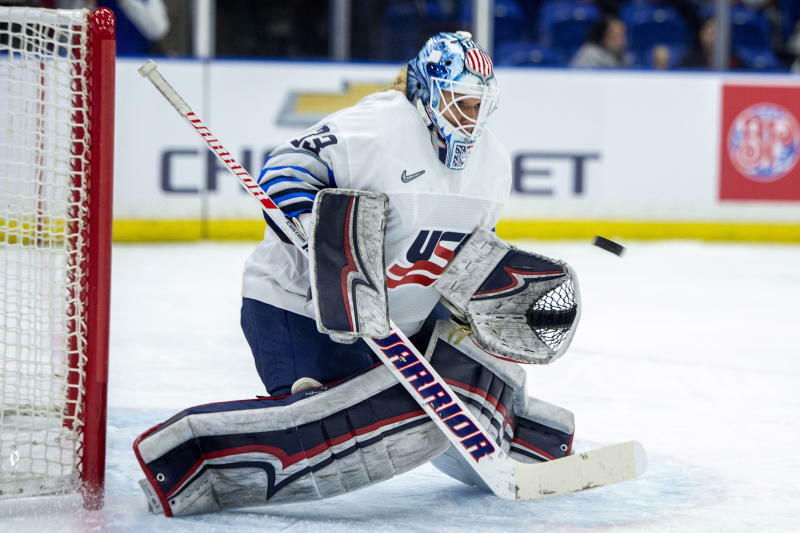 Alex Rigsby made 23 saves for the U.S., and Szabados stopped 31 shots. 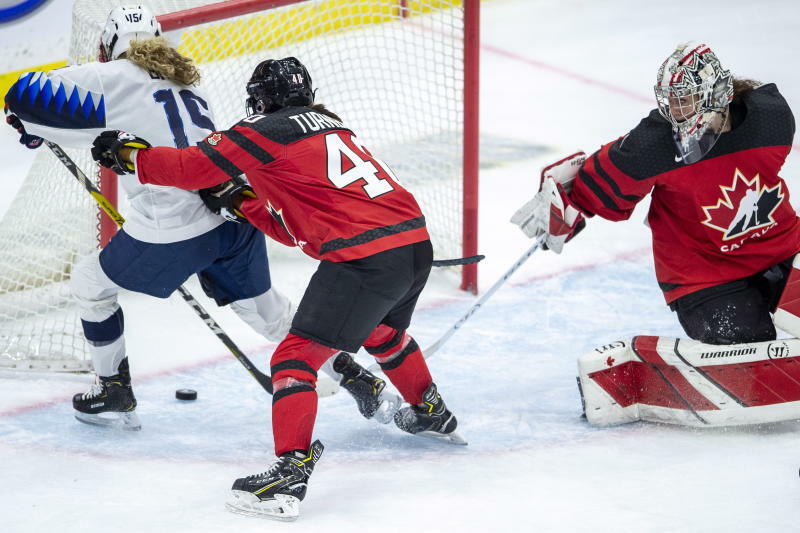 "We've got to put the puck deep," Canadian captain Marie-Philip Poulin said. "We kind of created a couple of turnovers at our blue lines. We know Szabby is a great goalie. She's going to stand on her head for us, but we've got to help her out." Earlier Wednesday, Jenna Silvonen made 28 saves in Finland's 3-2 victory over Sweden. Venla Hovi, Riikka Valila and Emma Nuutinen scored to give Finland a 3-0 lead. Lisa Johannsson and Hanna Olsson connected for Sweden 20 seconds apart late in the third with Maria Omberg off for an extra attacker. On Friday in the final round-robin games, the U.S. will face Sweden, and Canada will meet Finland. The top two will advance to the final Saturday night, and the other two will meet for third place.